The Average web-design cost for sites in Calgary Alberta is $2000.00 to $5000.00 Canadian for a 10-20 page website with all the bells and whistles. We have requested quotes from our top competitors and this is the average that the quotes came in for. At the Frynge we design sites for half that price. 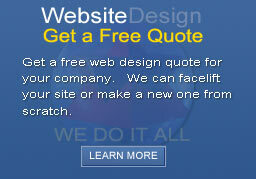 So feel free to request a free, no obligation web design quote from us to find out how much your project will cost. 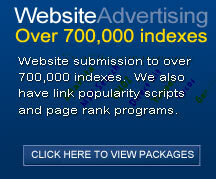 Our typical cost for web design is around $1500.00 and under. Most clients do not need a large website with all the "bells and whistles". What they want is something classy yet affordable, something informative yet graphically appealing. Check out our quote section and request a free quote from us today, to find out exactly how much it will cost to get your webpage up and running. We do not underquote any competitor, but we feel they are charging way too much for the design that is given. Do you need professional hosting for your website? Are you looking for a company located in Calgary Alberta?? We have a solid network with great customer support. Webhosting or hosting is the term for how your site appears (or is stored) on the internet 24/7/365 and we have some of the fastest servers in Canada. The Frynge web design has been part of the reason why my product has been so successful. Frynge.com helped me to setup my first website. They are not the average web design company. Their prices are phenominal! When I had questions they answered within hours, even after hours. Excellent customer service. Fast, Personal, Reliable and Professional. I have recommended their design service to others looking for their own website. The Frynge is starting a new design for HR Consulting, a Vancouver based consulting company.